Each is 11.75" x 5.75", 2 oz. 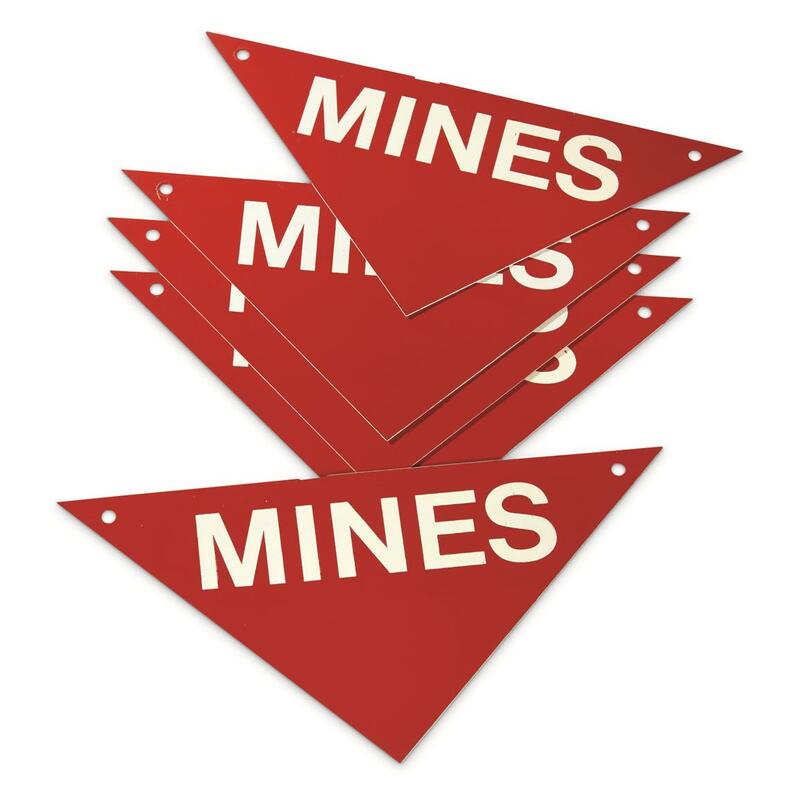 Originally used to mark uncleared minefields, these Swiss Military Surplus Mine Markers are now ready to serve as a cool collectable around your shop, garage, or other hang-out. Hang one of these outside next to a "No Trespassing" sign, and give intruders a little extra to think about. Swiss Military Surplus Mine Markers, 5 Pack, New is rated 5.0 out of 5 by 1. Rated 5 out of 5 by RYAN from Product as described. Funny piece for backyard or work.